True medicine is wild, abundant and free. This truth, plucked from the stone medicine soliloquy I released several weeks ago, pretty much sums up the bedrock of everything I believe. It explains why I make medicine, why I write, why I teach. Because I’m passionate about helping people to remember that medicine isn’t something we need to earn. It isn’t something that is given to us by any guru, or something only understood by the elite. Medicine, true medicine, is wild abundant and free. If you asked indigenous people around the world what they considered to be medicine, you would get many different answers. 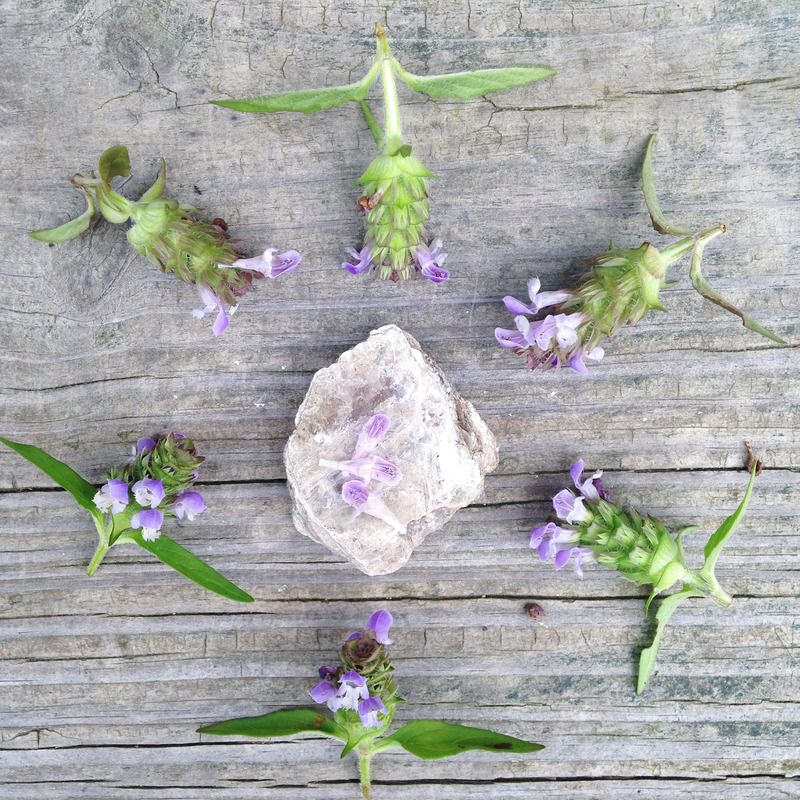 Plants, stones, stars, words, chants, water. But you would see one commonality – many things are medicine, and everything is medicine. Medicine, by definition, is something that helps us heal. Fresh picked strawberries, first kisses, kitten purrs and a thick night of stars. All of this affects us deeply, our inner hearts, our sense of well-being. Opening new layers of meaning, comfort, security, belonging, profundity, inspiration and expression. All of this is medicine. Since I posted to my video, Stone Medicine Grounded, to Facebook a few weeks ago it has gotten more views than anything I’ve ever released. Over six thousand, to be exact. Since that time I’ve had a serious outpouring of support, camaraderie and questions. And of all the good questions I get asked, the most prevalent is: Where do I start? This is one reason why I created my new online course How Stones Communicate, because the best way to begin is to learn how to listen. But we all need initiations in our life. Bright moments of new openings that are supported by the very teachers we are eager to learn from. So if you are looking to begin your journey into the stone realm, then look no further than Clear Quartz. Clear Quartz is a master initiator. 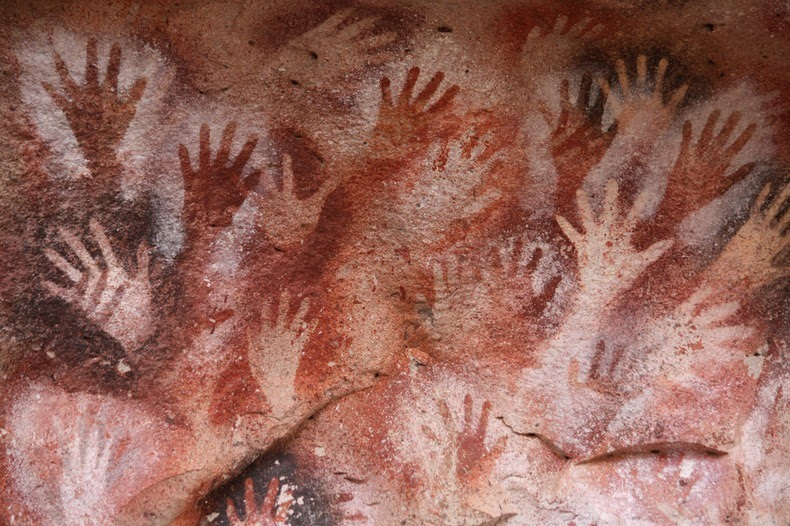 It is often the first stone people are drawn to, and for good reason. This clearing stone is a vast vault of energy, and can direct Qi (or Chi) accordingly. Known to “take on” the energy of your emotions and intentions, Quartz helps to increase the power and clarity of any given affirmation or thought. It amplifies and opens our intuitive understanding, and holds space for our prayers. Quartz is what lies at the center of all our technology, including this computer upon which I type (and you read). Clear Quartz is also one of the most prevalent minerals on earth. 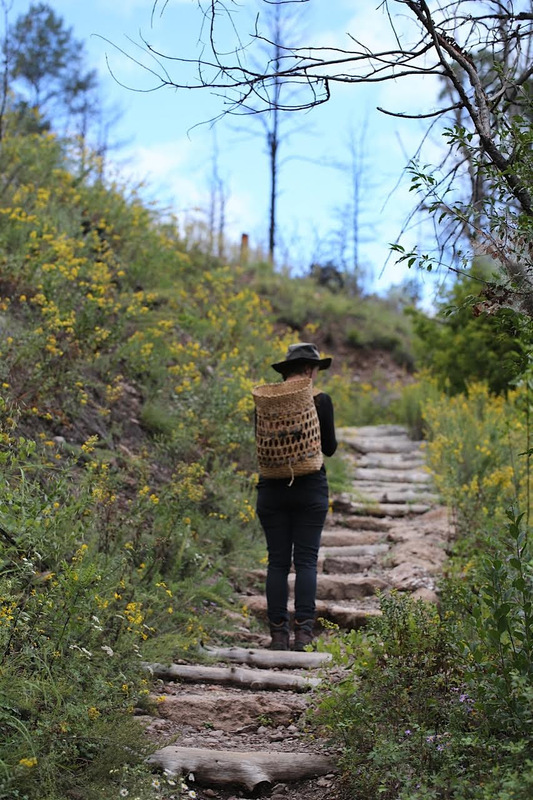 Talk about wild, abundant and free. If you’ve been looking to open a new era in your medicine practice and journey of personal healing, let Clear Quartz open the gates. 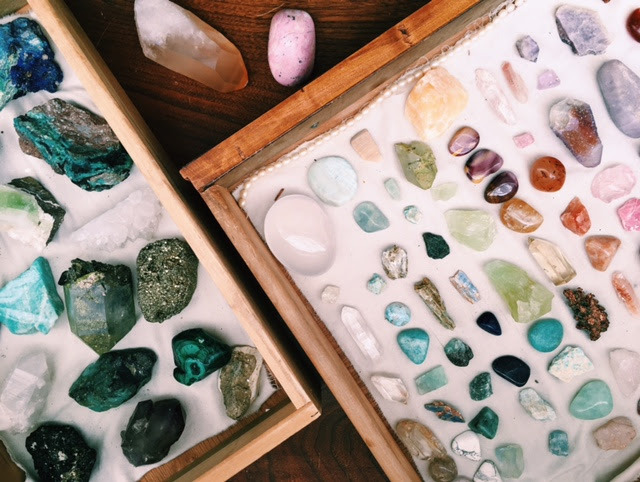 Read on to learn more about the medicine of this bright stone and how to undertake a self-designed Clear Quartz Initiation. Are you ready to cross the threshold and begin working with stones? 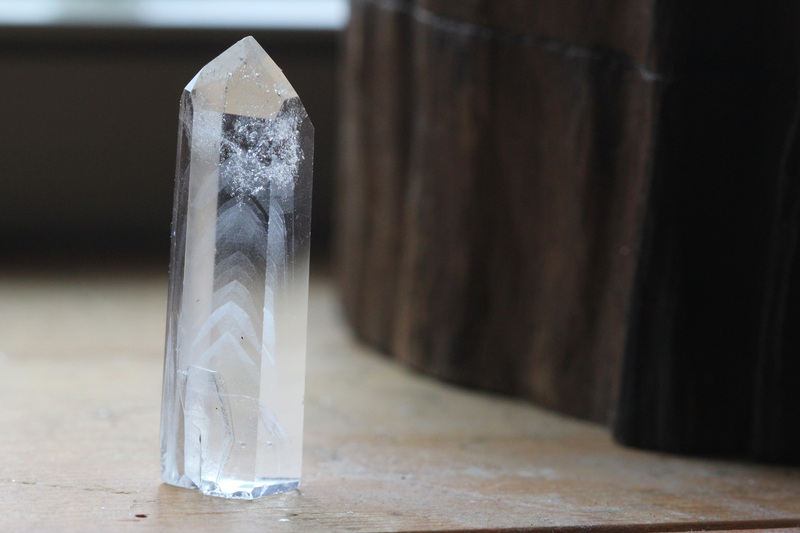 Let clear Quartz initiate you into the realm of mineral medicine + magic. 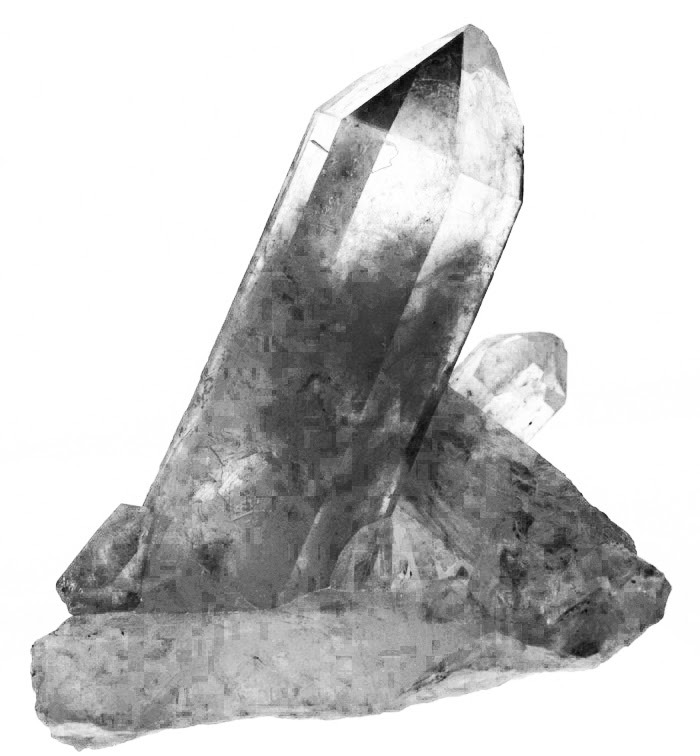 Known as the “master harmonizer” in Chinese medicine, Clear Quartz is a powerful cleanser and amplifier. On the physical level Clear Quartz (Ying Shi, The Brilliant Stone) is thought to increase and regulate the Qi (our life force), bringing vitality to all areas of the body. 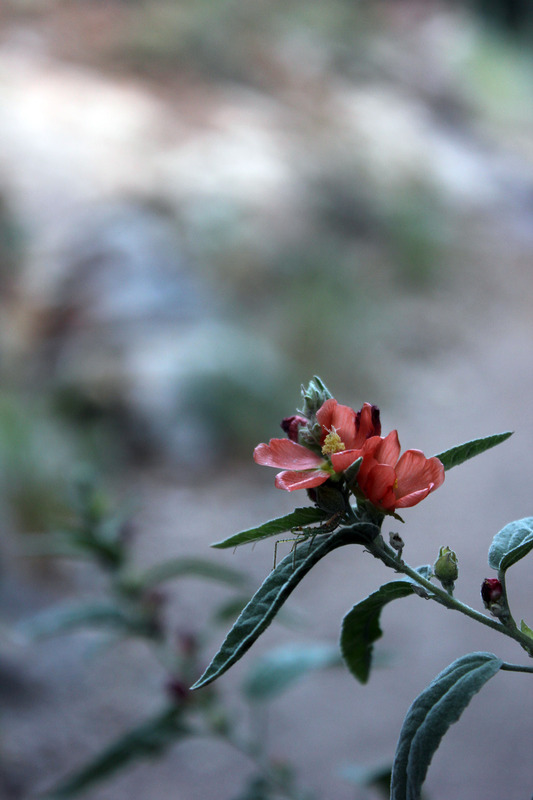 It can help tame rebellious Qi, which includes nausea, vomiting and coughing, and was traditionally used to clear heat in the blood. Clear Quartz is highly “programmable,” it can carry and amplify the energy of our intentions. The highly structured composition of this powerful stone enables it to store and record vast amounts of information— it is no coincidence that quartz technology is what enabled the creation of all our computers and cell phones! In traditional Daoist medicine, Clear Quartz was often used to draw and store energy from other stones, animals, elements or lands. By pointing quartz at a certain celestial body, for example, the stone inherently absorbs some of the energy of that entity and can become an emissary of that medicine wherever it goes. Clear Quartz brings invigoration and clarity. Quartz can help us to become aware of the thoughts that create “stuckness” and help us recognize the seed of truth in any situation. Clear quartz can also help enhance psychic communication, meditation and visioning. It aids us in establishing a clear connection to our higher guidance. Start your journey into the stone realm by finding a piece of Quartz you resonate with. As one of the most abundant minerals on earth, you can find Quartz in any stone store. There are also ample deposits of many different kinds of Quartz around the world! Check out your backyard and you might be surprised to find some some Quartz varieties right outside your door. In cultural anthology and religious studies all initiations are seen as rites of passages with three distinct stages: Separation – a marked moment of leaving the world or experience of reality you previously knew. Liminality – an inbetween state or threshold where you have left behind the old but haven’t yet stepped into the new. And Incorporation – where you return from the journey, integrating what you’ve learned about the world and your deeper self, entering in a new reality or worldview. The following are three stages of a self-designed initiation rite to help open you up to the incredible magic of the stone world. You will begin to “separate” yourself from the world you previously knew (with its more rigid definitions of medicine) using an age old technique of shifting consciousness: meditation. Choose a day to begin this self-designed initiation and setting aside 30 minutes to sit in meditation with your stone. If you’d like to cleanse your Quartz beforehand simply place it in running water for half an hour. When you are ready to begin, put on soothing music, relax with the stone in your palm and notice any sensation, images or memories that arise. Clear Quartz is a record keeper, so you might pick up on impressions or information that is already stored in the stone. 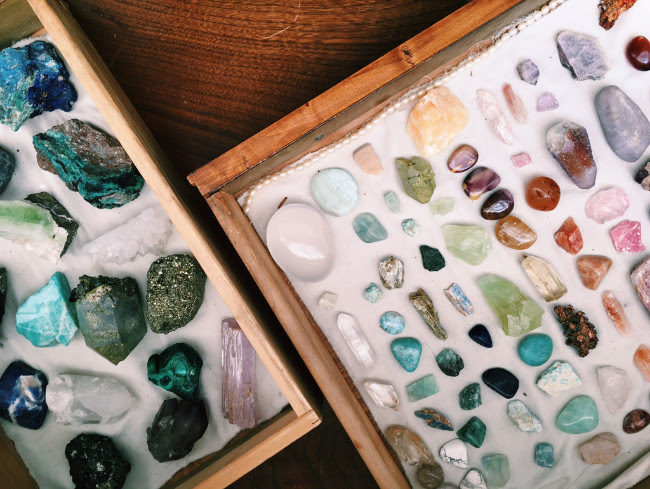 When you feel you have made a connection with your Quartz, ask it to become an initiator for you, a gatekeeper for the opening of this new world of seeing and experiencing a diversity of medicine. 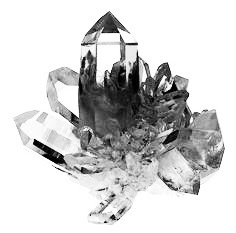 Program the Quartz with your intention, whether that be a desire to widen your consciousness or simply to receive deeper healing from the stone realm. The Quartz will hold and amplify this intention for you and open the doors to begin down this new path. Venture into the liminal zone, this transitional state of awakening to the mineral realm, with seven days of Quartz elixir. Begin the night before you wish to start by placing your programmed Quartz in a glass or cup. Any size will do but I tend to select smaller glasses or teacups as I’ll be drinking all of the elixir water at once. Cover the stone with water and fill within a ½ in of the top of your glass or jar. Cover the mouth of your jar with a paper towel or lid and let sit overnight. Drink your elixir first thing in the morning, before breakfast or coffee. Imbibing your elixir on an empty stomach will help you to notice and feel the effects more potently. Remove the stone from the cup if you are worried about swallowing. Otherwise you can just drain the elixir from the cup and then put your stone aside on a cloth to dry. Repeat for seven days. Keep a journal to notice any shifts during this “in-between time.” As we self-initiate into new levels of awareness stuff will come up to be released. Outdated ways of thinking, old patterns of interacting or limiting thoughts. If you re-experience any old fears or worn out doubts, just know that they are coming up because they are moving through your consciousness and asking to be released. You didn’t want to take that self doubt with you into this new era, did you? This can be a challenging, yet wonderous, time. Stay with it and give gratitude for the entire experience. You are moving into a new era of seeing. Note: Clear quartz is one of the safest stones to drink in water, but some stones should not be used in elixirs at all. Please do your research if you decide to try this with any other stone. Close this week of initiation by spending the night in the dreamtime with your Quartz. 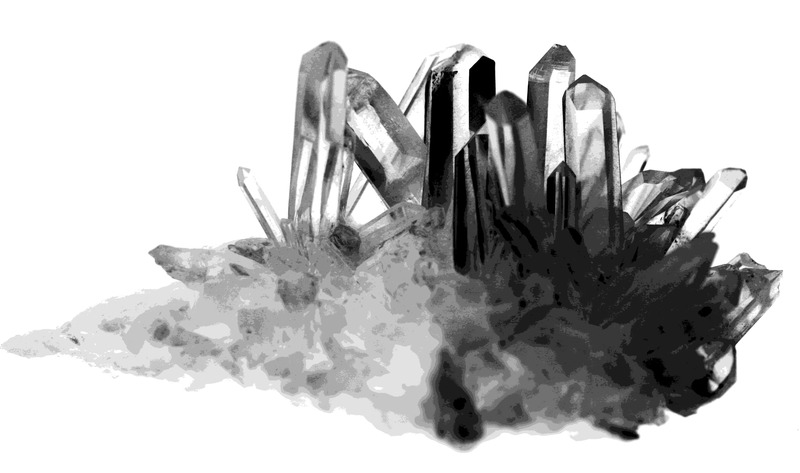 Place your Clear Quartz under your pillow before you sleep; this will be your ceremony of incorporation. When we go to sleep we tap back into the vast reservoir of our deeper consciousness; we rejoin our wider selves. Every morning we wake up with a more complete memory of who we truly are. And every morning is an opportunity to enter a brand new era. So allow this last sleep to be a ritual of integrating all you’ve learned, on the deepest levels. Before you put the stone under your pillow thank it for all the beautiful work you’ve done together, and feel free to ask the stone to show you what comes next. Put a pad of paper beside your bed and take note of any dreams, feelings or sensations upon awakening. Initiations can be subtle, but they are always profound. Give yourself time to reintegrate and notice this new world. Honor the stone you worked with by burying it in the ground for an evening to rest. And know that, on the deepest level of your being, everything is crystallizing exactly as it should.